Desiring to improve sales effectiveness, many organizations have focused on increasing the amount of time salespeople are actively engaged with customers selling, but a potentially better first step is to ensure that salespeople maximize the effectiveness of the entire selling process. The reason? The majority of a salesperson’s work is not done in front of a customer. Multiple studies have been done to capture the amount of time salespeople spend on activities such as engaging with customers versus all other prospecting, planning, servicing, and administrative tasks. The findings across industries show that customer facing selling activities account for only 15-25% of time. That percentage will likely continue to get smaller because customers/buyers today are usually more knowledgeable about products they are considering (because of technology) and have less time to engage in sales dialogue. Both the salesperson and customer desire an efficient and effective interaction because time is of great importance. This is why it is important to focus on improving effectiveness across the entire selling process. Selling is much more than talking to people and convincing them to buy something. Salespeople today must be extremely knowledgeable and constantly learning. They have unlimited potential customers with massive amounts of data available, making prospecting for customers time consuming. Salespeople do significant planning. They plan internally to deliver financial goals and externally to develop business. They are the company’s voice to customers and the front of the line for getting orders and facing rejection. Finally, the salesperson is immersed in supporting activities that range from expense reporting to solving a customer service problem with a new client. Selling is not simply a job for winsome fast-talkers as often depicted. Understanding how the brain works best and aligning selling efforts to those principles can increase success by maximizing the effectiveness of the entire selling process. Every salesperson should start with a “growth mindset”. A growth mindset is one that understands the linkage between effort, attitude, positive thinking, accomplishing goals, acquiring new learning, with improved performance. Dr. Carol Dweck, author of Mindset: The New Psychology of Success, says that a growth mindset is the foundation of wanting challenge, persevering through the challenge, and desiring long-term growth and success. A mindset is a paradigm, belief system, attitude, and/or set of biases about how intelligence and learning affect a person. A salesperson who has a fixed mindset may get frustrated when changes in the market or product occur and may not spend the amount of time to learn the new components and plan an appropriate response. They don’t believe their efforts will make a big difference. A growth mindset salesperson will spend time and effort to understand the trends in sales and the product, will take risks to try something new to respond to needs, and will not be embarrassed if something is not known but rather tell the client he/she will find out and get back to him or her. Sales is not about knowing everything and then going and telling the right people about it. There is constant learning as products, competitors and customers change. The salesperson is expected to be a nimble learner and performer. In the book Agile Selling, Jill Konrath talks about being an agile learner: “Sales has now officially become a thinking-intensive profession. We need to learn a lot fast, and figure out how to best integrate our knowledge into our customer interactions.” (p. 18) What makes this mission critical is what customers have said about the most important factor in the buying process. Salespeople can easily feel that things totally outside their control are the most important factors in influencing customers in the buying process, but customers say that it is actually the sales experience that makes the biggest impact on buying and loyalty (Sales Executive Council Research, 2011). A salesperson needs to understand that the experience they provide is critical, that they can “own” that experience, and that a growth mindset prepares them to continually get better. Prospecting is the work of uncovering an opportunity. It is difficult because of the large number of potential customers and uncertainty regarding their specific needs. Prospecting always works better with focus, and so does the brain. Research has demonstrated that switching from one task to the next takes a serious toll on productivity. Multitaskers have more trouble tuning out distractions than people who focus on one task at a time. Also, doing so many different things at once can actually impair cognitive ability (Nass, Ophir, Wagner, Stanford Research, 2009). One application for focus is to tightly define the ideal customer target. What are common characteristics of existing customers that love doing business with your company? What problems does your service address that a certain niche of organizations can benefit from? Another simple application of focus in the prospecting stage is to dedicate specific time. Because prospecting can seem overwhelming, limit the time each day you will invest in the work and make sure that nothing else is allowed to distract during that dedicated time. Once a potential customer is on the radar, it is time to make a plan to either solve their problem or meet with them to discuss how your product/service might be able to address a need they have. Along the way, salespeople will uncover, or be given by customers, obstacles to implementing a solution. How a person views these obstacles can make a big impact on eventual success. Instead of trying to avoid obstacles or minimize them, great salespeople know they are the very heart of an opportunity to sell. An important application for a salesperson is to expect challenges and plan to use them to drive creative solutions. When selling moves to dialogue with customers it is important to set the mind to the right perspective. Research and experience suggest that people who walk into a negotiation consumed by the question, “What will happen to me if there is no deal?”, get worse outcomes than those who focus on what would happen to the other side if there is no deal. (Harvard Business Review, The Softer Side of Negotiation, December 2015). By shifting the frame of reference from doing whatever it takes for a deal to what happens to the customer if there is no deal, you begin to focus on the unique value you can offer. This translates into clarity as to the reason why your services are worth their investment and how those services will solve the customer’s problem. Make sure that before each customer interaction- even if by phone – you are thinking from their point of view. Sometimes this phase is referred to as closing a sale, but we like to call it activating for several reasons. First, sales are typically made over the course of multiple interactions making it unclear what moment was “closing”. Secondly, most sales opportunities never close – they either continue on as opportunities for the future, or, they end with a no. This part of the sales process often produces the most stress! To maximize the activating phase regardless of how it proceeds, the salesperson can prepare to handle the stress that accompanies it. Research has been done to quantify if one’s perspective on stress can influence performance. Stress can actually be a very good thing according to Dr. McGonigal, Stanford University psychologist and stress researcher. She explains how one’s belief in the stress being harmful or positive can actually hurt or help. This research used 30,000 American adults who experienced some kind of stress on a daily basis (this could be anyone). The researchers tracked the group’s mortality rates for eight years. Those who led low-stress lives and those who led high-stress lives (but didn’t think the stress was bad for them) had almost identical mortality rates. Those in the third category (high stress with belief that it’s harmful), had a 43% higher risk of dying. Conclusion: Attitudes and belief systems about the stress appear to be more significant than the actual stressors themselves. By changing your thoughts about stress, you can change your body’s response to this stress. Viewing the stress that comes with selling as normal –especially the stress from deals that don’t happen – can dramatically improve a salesperson’s perspective, and therefore, long term performance. Salespeople do a significant amount of administrative work. Because a large part of a company’s expenses are related to sales efforts, tracking and reporting are required. Salespeople are involved in special projects and task force teams designed to help companies understand customers better. They are also involved with a broader team, perhaps a district or region or both, and are expected to share learning from customer interactions and ideas for future growth. Additionally, salespeople typically stay involved in problem solving and customer satisfaction. In this phase of “administrative work”, salespeople often get frustrated – they just want to go work on the next deal. But a study on life satisfaction and successful business outcomes (Lyubomirsky, King, Diener, Pyschological Bulletin, 2005) revealed a potentially overlooked opportunity in this typically mundane part of selling. Their research linked life satisfaction and successful business outcomes. Researcher and author Shawn Achor, calls this the “happiness advantage”. “Every business outcome shows improvement when the brain is positive.” Interestingly, the factor that most increased employee’s life satisfaction (happiness) during periods of high-stress was positive engagement with co-workers. “Social support providers – people who picked up slack for others, invited coworkers to lunch, and organized office activities – were not only 10 times more likely to be engaged at work than those who kept to themselves, they were 40% more likely to get a promotion (Achor, HBR January 2012). Don’t overlook the opportunity to maximize performance by engaging and serving others in the course of the supporting work of sales. The traditional focus of sales improvement has been on customer interaction. The selling process is much more complex and as we have seen, includes significant work that is done without any customers around. Becoming more effective requires a salesperson to consider improvements to all phases of selling. 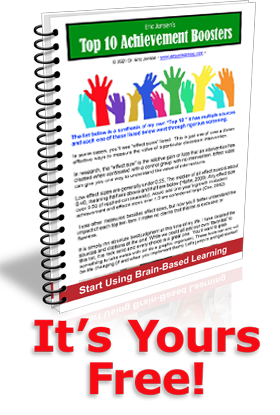 Applying these brain-based strategies provides a fast start to achieving that. Achor, Shawn. (2012) Positive Intelligence, HBR January 2012. Ashkenas, Ron. (2012) Managing Uncertainty, HBR August 2012. Dweck, Carol. (2006) Mindset: The New Psychology of Success. Random House. Malhotra, Deepak. Harvard Business Review, The Softer Side of Negotiation, December 2015. Kirby, Elizabeth; Sandra Muroy; Wayne Sun; David Covarrubias; Megan Leong; Laurel Barchas; Daniela Kaufer; April 2013; Acute stress enhances adult rat hippocampal neurogenesis and activation of newborn neurons via secreted astrocytic FGF2. University of California, Berkeley. Lyubomirsky, King, Diener – Psychological Bulletin, Volume 131, No. 6 2005. McGonical, Kelly (2015) The Upside of Stress: Why Stress is Good For You and How to Get Good At It. New York, NY: Penguin Random House. Nass, Ophir, Wagner, (2009) Stanford Research, published online.